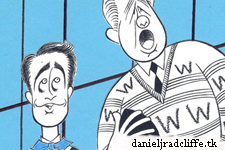 Acclaimed illustrator Ken Fallin's drawings of the greatest stars and scenes of the theatrical world are a recurring part of Playbill.com, and now with Daniel Radcliffe and John Larroquette. 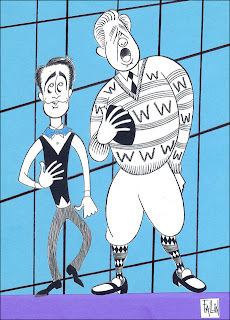 Fallin now captures the cast of the 50th anniversary revival of the Tony and Pulitzer Prize-winning musical How to Succeed in Business Without Really Trying, which is currently in previews at the Al Hirschfeld Theatre. 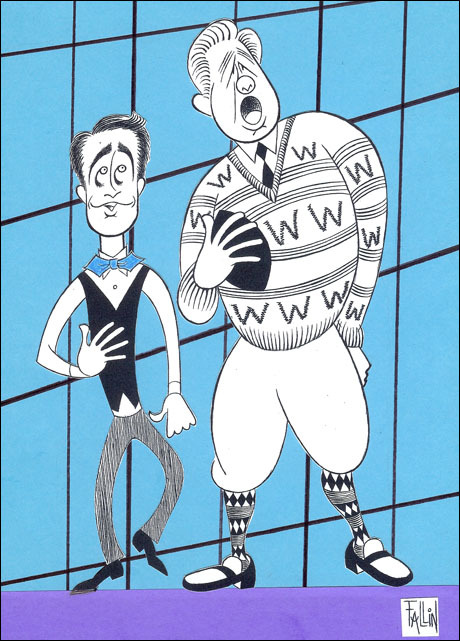 Directed and choreographed by Tony Award winner Rob Ashford (Parade, Thoroughly Modern Millie, Promises, Promises), How to Succeed will officially open March 27. Pictured are (l.-r.) Radcliffe and Larroquette.